On Monday, September 24th, Hugh Hewitt dedicated his entire show to his 100 reasons to vote against President Obama and for Mitt Romney on election day. The audio can be found here, but Tami J and I wanted to transcribe them for you for easy reference. These are not verbatim what Hugh said, but a summary. Share with your friends, family, and democrats alike! As Hugh stated, these are in no particular order. Mitt Romney believes in a second American century. He believes in American exceptionalism and that the 21st century should be the second American century. Mitt Romney is a very good man with a great heart and a big vision for the country. He has character, which matters most in the office of the President. Romney is a turnaround specialist. He knows how to prioritize tasks. This contrasts with President Obama’s disinterested approach to the failing economy. President Obama is the least generous political person in recent memory at the national level. Never have we had a president who is so ungenerous to his opposition. President Obama is the most partisan president we’ve ever had. We have always passed big laws in this nation with bipartisan support. On Obama’s biggest initiatives, he has had no Republican support. Obama’s attack on Paul Ryan. Paul Ryan put together a comprehensive budget and invited the opposition to sit down and talk. The President proceeded to summon the republicans to the oval office, put Paul Ryan in the front row and taunted him, challenged him, and behaved in an unpresidential way. He is not presidential when it comes to his opponents. He is a street fighter, bitterly partisan. Remember the statement, “I won”; when, after the President’s inauguration, the republicans in the house met with him and offered ideas how to proceed in a bipartisan fashion and he replied to them, “I won. Elections have consequences.” This is how he will behave if he wins again. 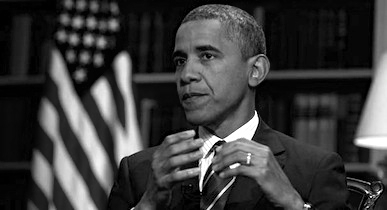 Obama’s full throated attack on the Catholic Church, personified in the HHS mandates in accordance with Obamacare, that all Roman Catholic Hospitals, charities, and every institution that doesn’t have an altar in it must provide sterilization and the morning after pills, in addition to ordinary contraception in their health care programs. This is anti-Catholic and is shocking, and anti-constitutional. He has not and never will accept responsibility for any of the fiascos associated with his administration, which will be detailed later in this 100 reasons list. Barack Obama blames straw men. He invents arguments that don’t exist when defending his policies. He lines up straw men, fake arguments, and sets fire to them. He does not answer the real and substantive arguments laid against him. He won’t deal with the truth. He gave a massive stimulus to the congress. He is responsible for it and for its failure. He has never accepted responsibility for it. He won’t accept responsibility for Van Jones and all of the other czars he has appointed. They are unaccountable to anyone and unconstitutional attempts to assert his rule. Solyndra. Solyndra sits empty. They were the recipient of 500 million dollars, which were lost on bankruptcy, big conference rooms, special glass and other wastes. The Boeing plant in Charleston. Boeing wanted to open a plant in Charleston and create 1000 jobs and the Obama administration labor relations board said no. This is a glimpse of the futures. Mitt Romney (along with Ann) has successfully raised a wonderful family. This tells us much about his character and values. Mitt Romney has never taken a government paycheck, even as governor of Massachusetts. This reflects his commitment to not wasting the people’s money. Mitt Romney can read a balance sheet. Can you? Most business owners have accountants for this. Ann Romney is an incredible woman, who has overcome challenges from MS, cancer, etc. Her life is a great achievement and she will make a great first lady. Paul Ryan. No one knows the budget like Paul Ryan. No one is prepared to make extraordinary steps to correct our shortcomings. One word – Israel. If you are a supporter of the state of Israel, you cannot vote for Barack Obama. He has no love for the State of Israel. He has not been to the state of Israel since he has been elected. His hostility for the Jewish State has been omnipresent in his foreign policy. Obama’s tense relationship with Benjamin Netanyahu. He is the strongest Israeli prime ministry in recent times and Obama refuses to meet with him as Iran is getting critically close to gaining nuclear power status. He doesn’t have time for Netanyahu, yet he has time to go on David Letterman and The View. Obama did nothing for the Iranian green revolution. He was urged by many people to stand by the Iranian people when they stood against our enemies, the Iranian regime. He did nothing and the revolution was suppressed. The “Leading From Behind” doctrine. We don’t know what this meant. But whatever it meant is that he refused to take leadership during the Libyan revolution and many hundreds of tons of weapons went missing. We see the fruits of this in Benghazi in the slaughter of our ambassador. “Leading From Behind” in Syria. Assad has not hesitated to kill tens of thousands of his own people to preserve his rule. He is a butcher, and Obama has refused until recently to say anything against this crushing of civilians. Everyone knows Assad is our enemy except for Barack Obama. The result has been chaos, murder, tens of thousands dead and who knows what will follow in the wake of this bloodshed. The bow to the Japanese Emperor. The United States bows to no one, but he is indicating appeasement in policy, which has been dangerous since its first day and has manifested itself in the rise of extremism across the world. The bows are not to be forgotten. There has been no progress with North Korea. There has been no progress with Russia. These are two great adversaries and they are arming the worlds despots and they have felt completely immune from any American pressure. There has been no progress towards disarming, and they are actively marketing their arms. Also, Obama, when he thought he was off recording, told Medvedev to give him time – after he wins his last election he will have more flexibility. What does that mean? He screwed the Czech Republic. Obama slashed our nuclear deterrent. Mitt Romney will redeploy our missile shield in Poland and the Czech Republic. Obama agreed to take out the shield and gave no notice to our allies, Poland and the Czech Republic. He removed it because Russia demanded it. These are horrific appeasements. Obama has abandoned Iraq. This may be controversial because many of you opposed the war in Iraq to begin with. Whether you agree with the war or not, you have to admit that when the war was over, the battle was won. We snatched victory out of the jaws of agonizing defeat with our counter insurgency doctrine. Our mission was accomplished and there was stability. All we needed was to stay on our bases with a modest number of troops to provide training. Obama ran away from our responsibility to Iraq in a huge diplomatic failure. He has announced a firm withdrawal date from Afghanistan. He has served notice to the Taliban how long they need to hold out for until we are gone and they have won. This is a disaster. Barack Obama cut the F22 Raptor. This air force fighter was the finest fighter ever to be designed. It has no equal amongst our allies or adversaries, nor will there be for the next generation. Obama stopped production. Not only did he end the F22, but he also stretched out the deployment of the F35. He has scrapped American air superiority. He has threatened our naval power. Our sovereignty depends on a strong navy. The US Navy is supposed to be at a minimum of 313 ships. He has allowed it to dwindle to 282 ships and will likely allow it to decline to 250. Mitt Romney thinks we need to go to 340 ships in 8 years. Barack Obama has cut the US Marine Corps by 20,000 marines. He has cut the US Army by 80,000 troopers. Our military is being cut down and hollowed out because of his insistence on huge social programs. Mitt Romney’s experience at Bain Consulting and Bain Capital. His investments and companies that were started as a result of his effort have created over 100,000 jobs. His time at these companies taught him about the market – how it works, how to succeed. Romney has church experience. He has been a Mormon for some time; he has even done a 2 year mission. He knows what it takes to volunteer time and to be a part of a church community. He has given of not only his treasure, but his time. Romney’s parents. His parents had a huge impact on the shape of his life. George Romney was an extraordinary American. Mitt Romney’s charitable giving. Over the last 20 years he has given up close to 30 million dollars. This does not include the opportunity cost of the money; what he could have made if he had invested that money. Mitt Romney is the most generous candidate. Obama’s gaffes. They are an embarrassment. When President Obama refers to marines as “corpsemen” or talks about 57 states, it reveals his ignorance. Obama has deceived the country about the deficit and his plan to raise taxes. He has suggested that the deficit of 1.1 trillion dollars and the national debt of 16 trillion can be solved by raising taxes on the top 1% of income earners. This will destroy growth of the country. Obama’s treatment of President Bush. Since the first month of his inauguration, he has whined and incessantly blamed George W. Bush for his problems. He takes no responsibility. His refusal to even remotely come close to having a real budget. Every year he has put forward budgets that not even his Democrat colleagues in congress will vote for. This year, he received not one vote for his budget. President Obama has refused to do anything to fix Social Security. This is one of the easiest social programs to reform, but Obama and the democrats refuse to fix it. President Obama has refused to do anything about Medicaid, which is bankrupting the States.